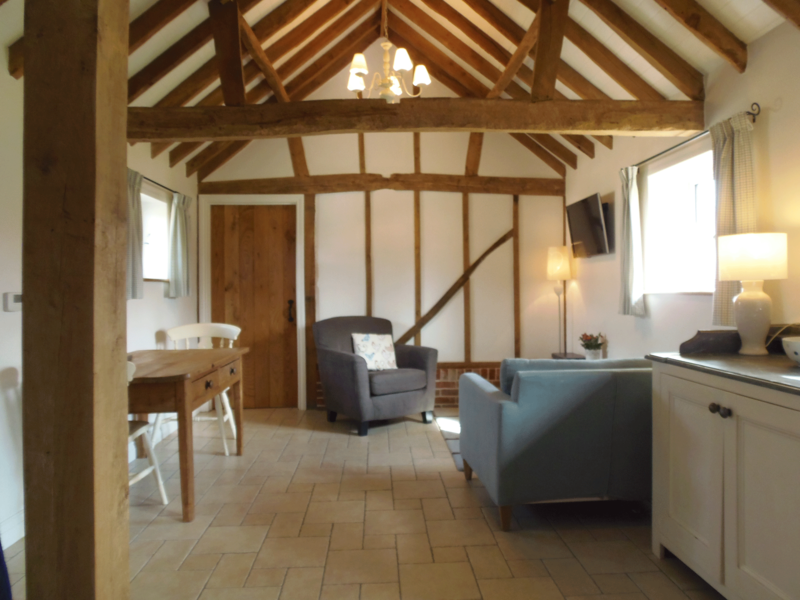 Acorns is a beautifully converted old dairy building which has been finished to an exceptionally high standard making it a perfect place for a relaxing break. 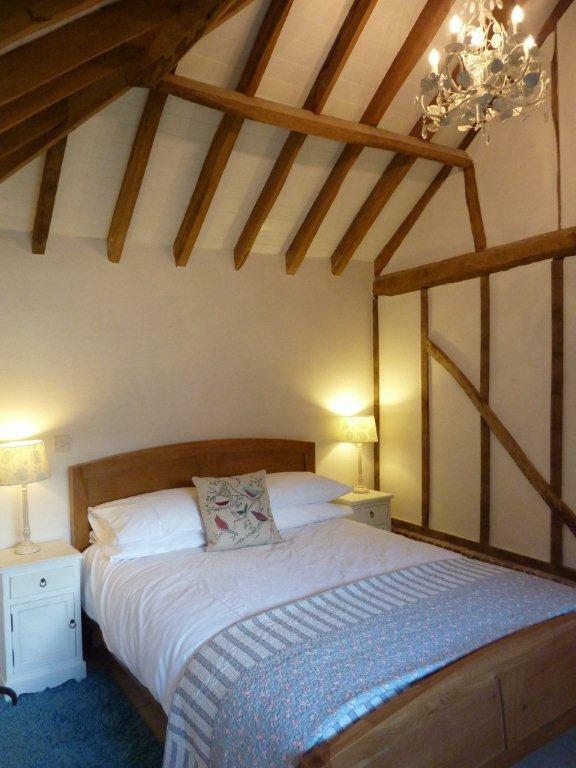 All on one level it is full of character and has vaulted ceilings throughout with all original oak beams. The open plan living area has a fully equipped kitchen with electric oven/grill and hob, dishwasher, microwave and under counter fridge/freezer. The comfortable seating area has a freeview TV and DVD player. There is a separate laundry room in the courtyard. 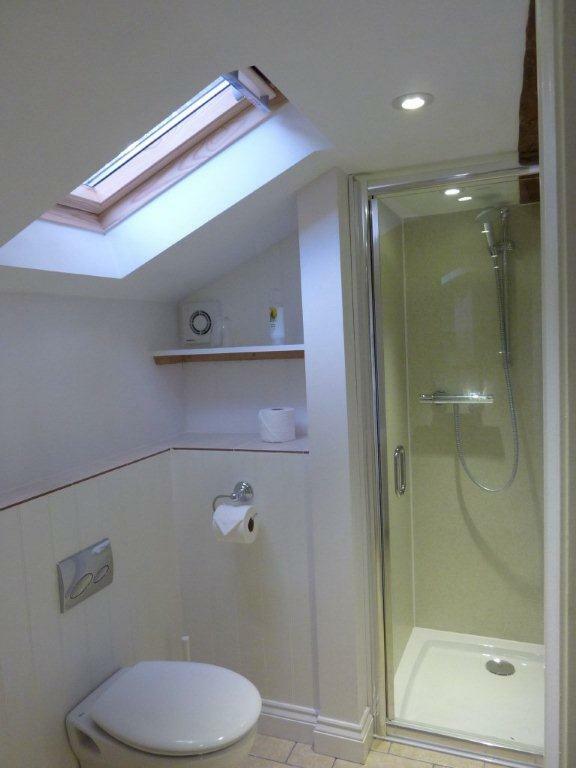 The one bedroom has a king size bed and en-suite shower room. There is under floor heating throughout, and this along with the electricity, bed linen and towels is included in the rate. Outside there is garden furniture to enjoy on the warmer days in the lovely courtyard. 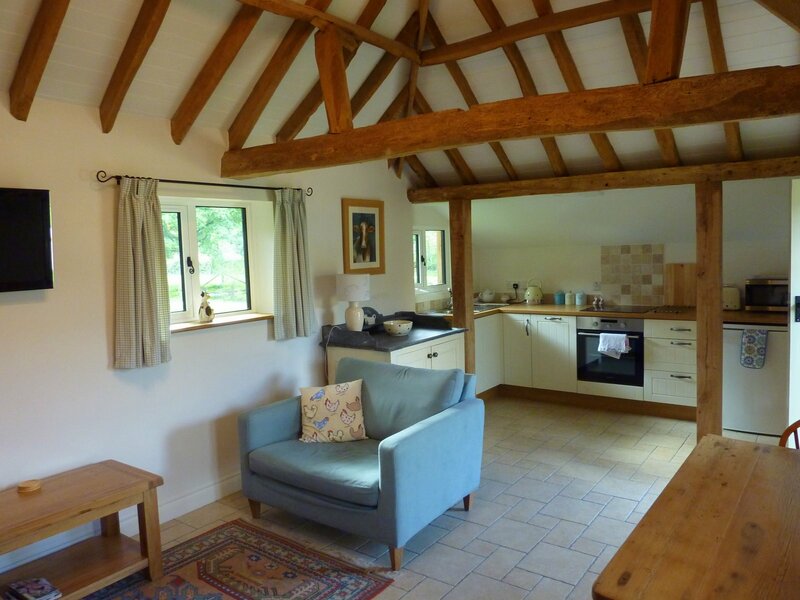 Otherwise you are welcome to explore the farm or make use of the fishing lakes or indoor pool. 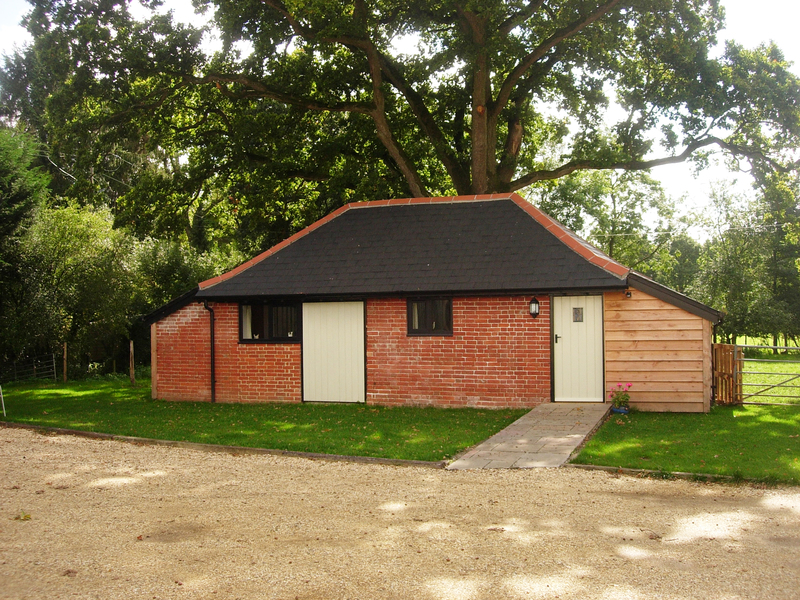 Bookings for Acorns are for full weeks, commencing on a Saturday. Occupation is from 15:00 Saturday until 10:00 the following Saturday. Please see the table below for available dates. 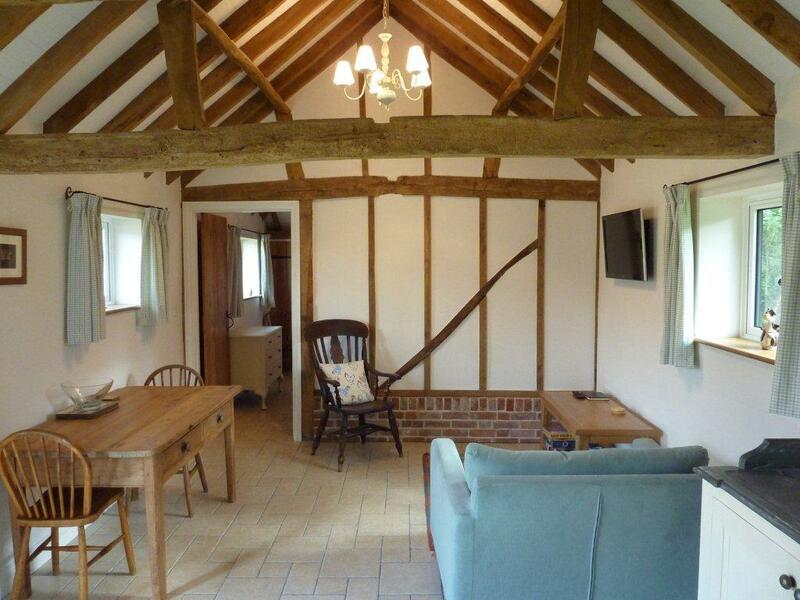 You can book by phone on +44 (0)1794 323386 or if you prefer, you can use our Self Catering booking form. Just click on the button to the right.